Developed by Siemens' product lifecycle management (PLM) software business, STAR-CCM+ is part of the company's Simcenter portfolio, a robust suite of simulation software and test solutions. The latest release of Simcenter STAR-CCM+ is focused on helping you to engineer innovation. Simcenter STAR-CCM+ 13.02: What's New? With 13.02, you will have stronger insight into key influences on your product’s performance through interactive and immersive exploration of simulation results with a new Virtual Reality Client. This release also brings significant gains in productivity with simulation workflow enhancements and reductions in overall time-to-solution, enabling you to conduct design exploration studies with ease and deliver innovative products that exceed customer expectations. Your ability to make meaningful design decisions often depends on how quickly and easily you can interpret simulation results, and communicate that information to other stakeholders, many of whom do not regularly interact with simulation software. Simcenter STAR-CCM+ 13.02 changes this forever by introducing a new immersive Virtual Reality environment through which anyone - independent of software experience - can explore and experience simulation models and data in a way that is simply not possible with mouse and keyboard manipulations. Working with commodity VR hardware, you can now use hand gestures and head movements to become completely immersed in your model and explore it in a natural way. This immersive experience not only gives a much deeper understanding of your simulation results, it also allows you to rapidly troubleshoot problems on the spot. Ultimately, the insight gained from exploring your model in this way helps you make better design decisions faster and with more certainty than ever before. To extract maximum value from your simulation, you need to be performing extensive design explorations studies that predict how your product will perform over all possible design configurations. This process becomes even easier (and more robust) in the latest release, with the introduction of CAD robustness studies in Design Manager, which allow you to quickly identify potential errors in parametric models before conducting a design exploration study. CAD robustness studies ensure that the CAD model is tolerant to the full range of possible design changes, avoiding lost time and resources from failed CAD and giving confidence in finding better designs. Simcenter STAR-CCM+ 13.02 also introduces new analysis capabilities which allow you to better understand design dependencies and quickly identify common design trends. During a design exploration study with Design Manager, you now have access to parallel plots linking design and response variables for each variant. You can overlay lines to compare multiple designs and synchronize them with plots for a deep dive into the results. Your simulations can only drive innovation in the product development process if you deliver results on-time, every-time. Simcenter STAR-CCM+ 13.02 significantly increases your productivity through simulation workflow enhancements that deliver faster simulation throughput. This release delivers a brand-new search tool to help with dissecting complex assemblies, saving significant engineering time. You can now find and filter faces in any model based on geometric, diagnostic or simulation data, and use this filter to repair a surface or extract information to use in the rest of the simulation. Simcenter STAR-CCM+ 13.02 also reduces overset simulation time by up to 5x when modeling applications with objects in close proximity such as throttles and valves. In these cases, near wall cells automatically shrink to achieve an optimal size in the overset gap, allowing overall fewer cells while still maintaining physical accuracy. People, models, and data need to be connected to efficiently tackle the innovation of complex products. To this end, Simcenter STAR-CCM+ 13.02 has significant enhancements for PLMXML import, now supporting all types of PLMXML schemas. This facilitates robust connectivity to Teamcenter, Siemens’ widely used PLM software. With 13.02, you can now easily retrieve models and data, run an analysis and store the results back into Teamcenter. This enables full simulation and data management as part of the wider organization, facilitates dissemination of best practices among various teams regardless of location, and gives a more holistic view of the product across your organization. 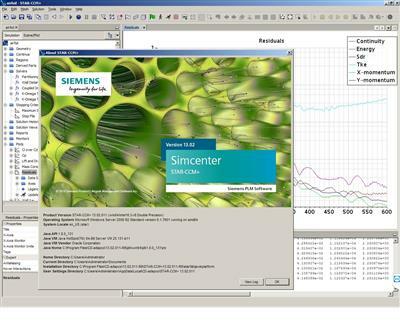 About Siemens Simcenter. 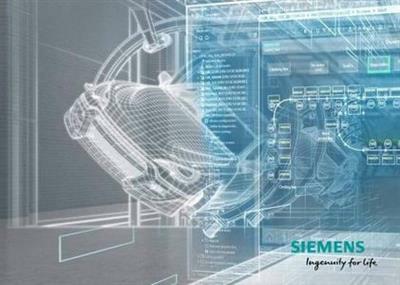 Siemens product lifecycle management (PLM) has announced its Simcenter portfolio. The platform bring various computer-aided engineering (CAE) tools for predictive engineering analytics, simulation and product testing under one unified platform. The purpose of Simcenter is to create a digital twin that incorporates the mechanical, electrical and software behavior of a product. The aim is to better predict how physical products will react in the real world and throughout their life cycles. The benefit of a digital twin is that engineers can innovate products earlier by performing tests faster and at a reduced cost when compared to physical testing. Simcenter also has Internet of Things (IoT) functionality that will link the data collected by connected devices to help maintain the digital twin as the product is in the field. This will allow engineers to better design products based on how they are used in the field and to better predict how the products will react in a given situation as more use cases are understood.